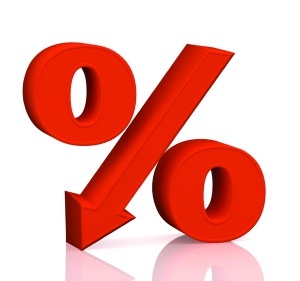 The rate cut frenzy continues with more lenders rushing to pass savings onto consumers after the Reserve Bank cut the official interest rate by 0.25% last week. Bendigo Bank has reduced its residential variable home loan interest rate by 0.25% p.a. to 5.76%, effective from 27 February. The non-major says customers with a variable home loan of $400,000 will see their repayments decrease by $62 a month (principal and interest home loan over 30 years). Bank of Queensland has also announced it will cut its two, three, four and five-year fixed rate home loans to 4.59%, 4.49% 4.59% and 4.69% respectively. The new rates are effective from 11 February. “The lending market is incredibly competitive at the moment and there are some great deals out there for customers who want certainty around the interest rates they will pay for the next two to five years,” BOQ chief executive, Jon Sutton said. Aussie Home Loans has dropped both its variable and fixed rate home loans. The Aussie Select Basic Variable Rate will be starting from 4.39% (comparison rate 4.40%) for new lending, which is the product’s lowest variable rate ever. Aussie’s fixed rates on one to five year terms will also be reduced, with an Optimizer three year fixed promotional rate of 4.44% (comparison rate 4.74%) for principal and interest, owner occupied home loans. This limited time offer is effective from 11 February 2015. The 0.25% rate cut will also apply to existing Aussie Select and Aussie Optimizer variable rate home loans, effective from 23 February 2015. “In my 23 years of business with Aussie I have never seen a stronger borrower’s market. Interest rates are at historic lows, lenders are fighting for home loan market share and now is the time for all property owners, whether owner occupiers or investors, to make sure they have a really good rate,“ John Symond, founder and executive chairman of Aussie said. Banks are willing to drop interest rates to get loans, wait until people start trying to get a loan and see how they have to jump through hoops to meet the stringent conditions of the big four. This is were the other lenders will take business from the banks who don't give good customer service . If fact many bakns treat their customers like lepers. Competition can only be good, as the borrowers are being educated.